What's a TON got to do with AC? So you've probably heard of someone refer to an air conditioner's size in terms of "TONS". Something like "I got a new 4 TON HVAC unit". This refers, not to physical size, but to the capacity (ability) of the equipment to generate heat. That's right, even air conditioning (cooling), is sized by it's ability to produce heat. In the case of air conditioning, the heat is being "pulled" from inside the house and dispersed outside. This is why there is always an outdoor component (the air conditioning compressor) when you have AC. Back to TONs... most people thing of a TON as being 2000 lbs. but with regard to HVAC, a TON is a measurement of heat generation per day. 1 TON of air conditioning is a measure equivalent to the amount of heat necessary to melt 2000 lbs of ice (H20) in a 24 hour period. But how did we get there? A BTU (British Thermal Unit) is the unit we use express heat energy. One BTU is equivalent to the amount of heat energy released when burning 1 match all the way. When rating an HVAC unit either for heating or cooling, the amount of BTUs per Hour is often sited. It has been measured that it takes 143 BTUs to melt 1 lb of ice. Since, 1 TON of ice is 2000lbs, It will take 2000 x 143 = 286,000 BTUs to melt 1 TON of ice. 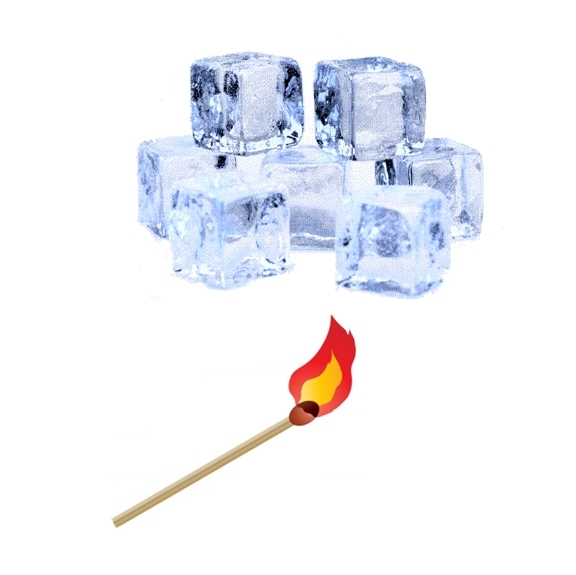 The ice could be melted by lighting 286,000 matches all at once or by lighting one at a time... In other words, BTUs only tells us how much heat energy is necessary but not over what time period. It could melt in 1 minute, 1 hour, or even 1 year depending on how the energy is generated. So, to rate the output of HVAC equipment, someone decided back in the early 1900s (probably someone at Carrier) that it should be done over a 24 HR peroid (1 day). This is how we get 286,000 BTUs / 24 hrs =~ 11,917 BTUs per hour or commonly know as 12K BTU/hr is equal to 1 TON. This means that that 4 TON AC unit you have can melt 8,000 lbs of ICE per day or about the same size block of ice as a Suburban. That's a lot of heat energy! We have explained in other posts on ZoningSupply.com, when it comes to HVAC zoning, each application must be evaluated individually. Situations vary widely from building to building, but, in all cases HVAC Zone Control puts the user (homeowner, building manager, etc) in control of comfort. Let's rewind, what is zoning? Homes and buildings that have "central" heating and air conditioning typically have 1 thermostat that controls the whole house temperature. With zoning, multiple thermostats can be placed throughout the house to better control temperature throughout. SmartZone connects to all of the thermostats & automatically controls dampers (air valves) installed in the air ducts. These air ducts direct air from the heating & cooling equipment to the different areas or "zones" of the home/building. The dampers allow SmartZone to direct air only where needed. Once a SmartZone has been installed, you will have the ability to set each of the zone thermostats to whatever temperature or settings you desire. SmartZone will, within reason, keep each zone at the correct temperature by running the equipment and directing hot or cold air into the zones only when necessary. This achieves the purpose of comfort control to manage hot or cold areas of your home. As for energy savings, if some of the zones are rarely used and can stay off for a sufficient amount of time, the equipment will run for a shorter time to heat or cool the rest of the building. This and other applications that allow the user to turn off or set-back one or more of the zones can, in some cases, result in energy savings. Some sources have published % energy savings possible with zoning, however, this is too arbitrary to have any real meaning. Like stated at the beginning, every application is different & the real possibility of energy savings is in the hands of the user and how the thermostats are set. Zoning is an amazing solution to comfort issues and gives the user ultimate control over comfort throughout the home or building. However, zone control is NOT a magic bullet for energy savings. HVAC Zoning only puts more control in the hands of the user & it is ultimately the thermostats and how they are set that determines potential energy savings. Use Wifi thermostats with SmartZone for ultimate control over comfort and energy use. The reality is that in a normal home with one thermostat, the only way to get more "comfort" is to spend more energy (ie run the AC or heat). With zoning, you can stay more comfortable in some areas while reducing run-time by not heating/cooling other areas. SmartZone is the best hvac zone control for upgrades or new-installs. Order today and install yourself of call any HVAC contractor in your area for installation.